We are excited to partner with Cedar Root Folk School on the Olympic Peninsula this spring to offer a Natural Dye Workshop. Come join us! The workshop will take place on March 7, 2015 from 9am-2pm on Marrowstone Island, Norland, Washington. Afterwards, take a hike at historic Fort Flagler or pay a visit to Bazaar Girls one of our favorite local yarn stores. 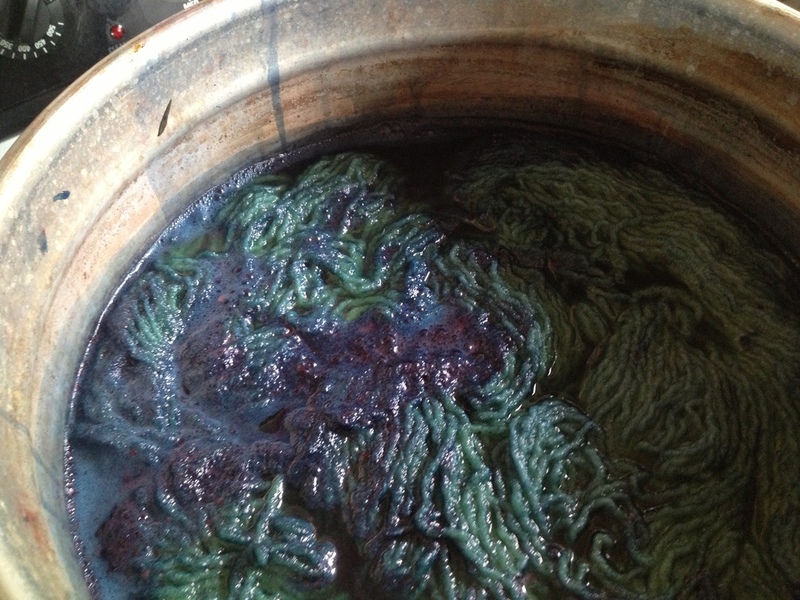 We will give you an introduction to the process of using plant based dyes on protein fibers, such as wool and silk. Together we will also take a short walk to identify and gather dye materials readily available in our area and discuss strategies for implementing your own dye garden. You will have the opportunity to dye and take home your own yarn and silk scarf! Cedar Root Folk School was founded to help the transfer of rural skills from one community member to another. CedarRoot places a high value on craftsmanship in manual skills and inter-generational mentoring. We gather together those in our community with rural wisdom and assist them in transferring that wisdom through teaching "hand to hand". Newer PostFinnsheep Angora Yarn is Here!